ZIMBABWE – Johannesburg – Zimbabwe Sevens rugby team coach Daniel Hondo yesterday expressed satisfaction with his team’s preparations for the Africa Regional 2016 Rio Olympic qualifier which gets underway today at the Barnard Stadium in Johannesburg, South Africa. The Cheetahs, as the national Sevens side is affectionately known, go into the continental qualifier battle-hardened having experienced competitive game time domestically, in the Sevens Summer Series, and abroad. The team also participated in two tournaments in September, in Namibia where they finished as runners-up and in Kenya at the Safari Sevens where they took fourth place. Zimbabwe are missing newly-appointed captain Hilton Mudariki, who has been ruled out of contention after picking up a hamstring injury at the Safari Sevens. His predecessor Jacques Leitao will lead the team. With South Africa already confirmed for Rio 2016, Zimbabwe’s biggest threat is expected to come from Kenya. “This is really a tough test for us. It will not be an easy task. 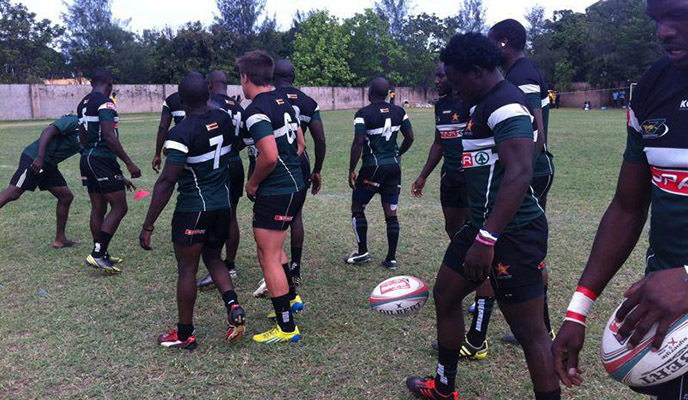 Everybody is going to come hard at Kenya, but we are well prepared,” said Kenya head coach Benjamin Ayimba. Kenya are in Pool A with Madagascar, Mauritius and Senegal. Pool B features Zimbabwe, Zambia, Nigeria and Uganda while Pool C comprises Tunisia, Morocco, Namibia and Botswana. The winner of the 12-team tournament will qualify for the Olympic Games while the second, third and fourth-placed teams will get one final shot at qualification through the 16-team global repechage tournament in June. The top eight teams qualified from the African Sevens Championship held in Harare, Zimbabwe, last year, with ninth ranked Zambia taking South Africa’s place after they qualified automatically through their second place finish on the HSBC World Rugby Sevens Series 2014-15. The final four qualifiers were decided by a regional qualifying tournament in the summer with Nigeria and Morocco clinching their place through the north region tournament and Mauritius and Botswana joining them from the southern section. Meanwhile, the Zimbabwe XVs rugby team, the Sables got their campaign at the Rugby Union Cup of Nations of to a disappointing start after going down 11-30 to hosts Hong Kong yesterday.